Wednesday–half way through your work week–you’re almost there! What’s one way of helping you energize and push through your hump day? 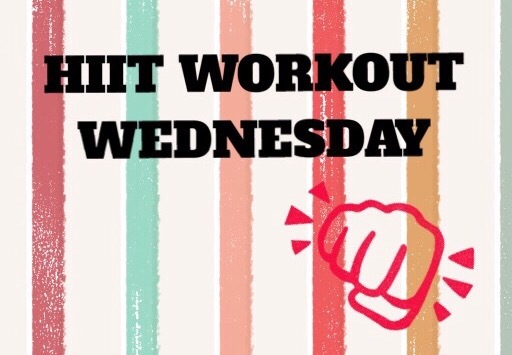 A high intensity interval workout! I always feel extremely energized and motivated after completing a good HIIT workout. This week we will perform each exercise for a total of 1 minute, then rest for 30 seconds. Move on to next exercise once finished with the rest, complete the cycle 1-3 times through!! Rest for 1:30 between the three cycles if needed!! Each cycle should take 9:00 minutes total with rest. Vitacost! Everytime I go onto this website I am like a kid in a candy store! I love love love this website! It has absolutely all the essentials for a healthier lifestyle at unbeatable prices. 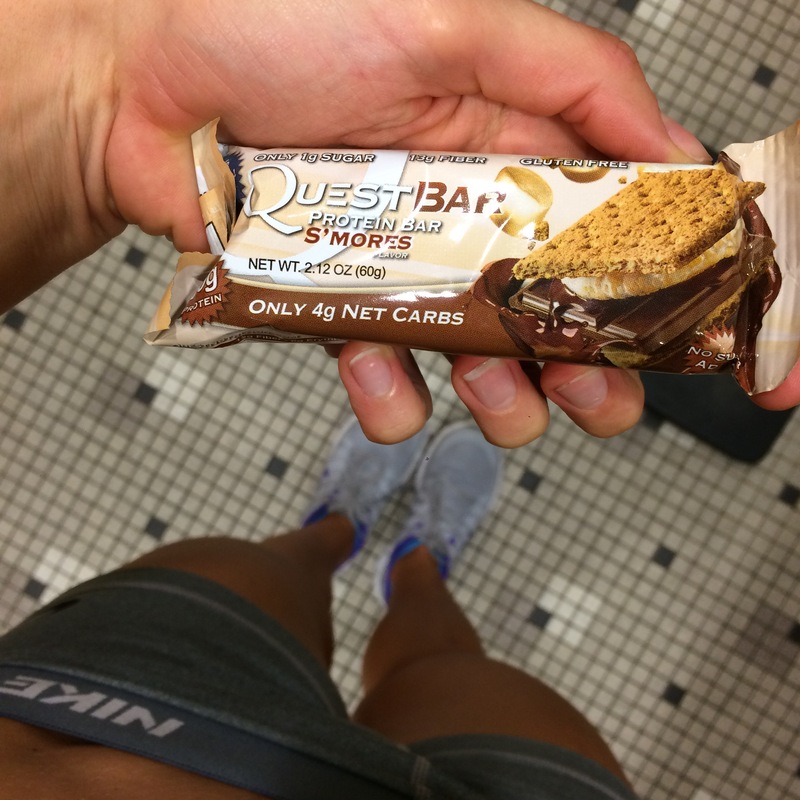 You can get everything from protein powders and other supplements (amino acids, BCAAs, creatine) to protein bars such as, my favorite, quest bars, and even gourmet grocery items. 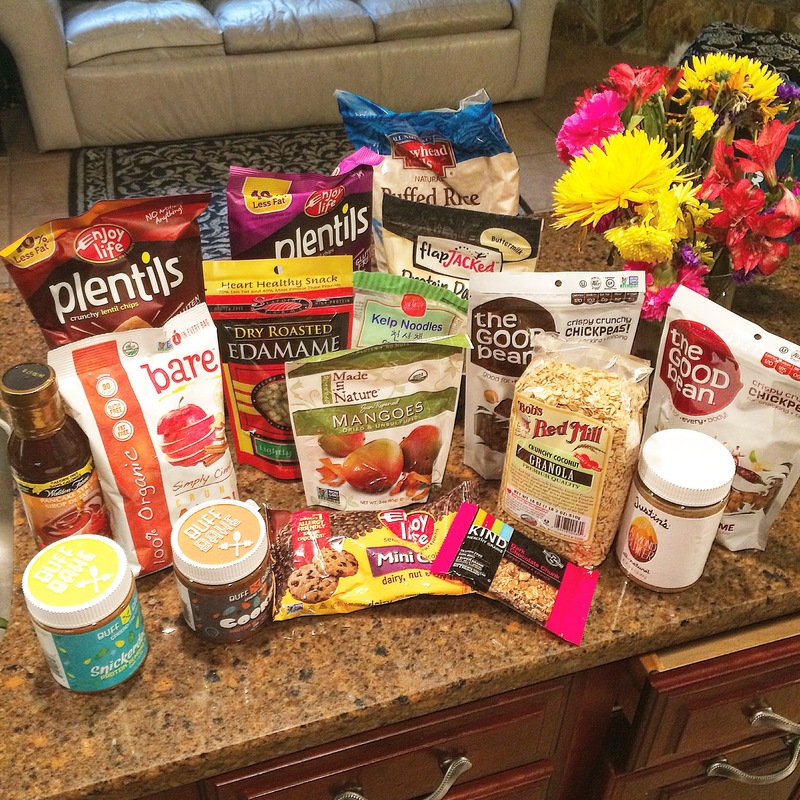 They have amazing healthy snack foods no matter your diet or lifestyle. 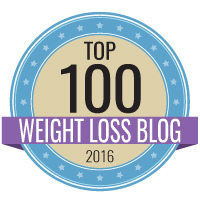 They have paleo snacks (whole foods/nothing processed/no dairy) gluten free, low carb, etc. 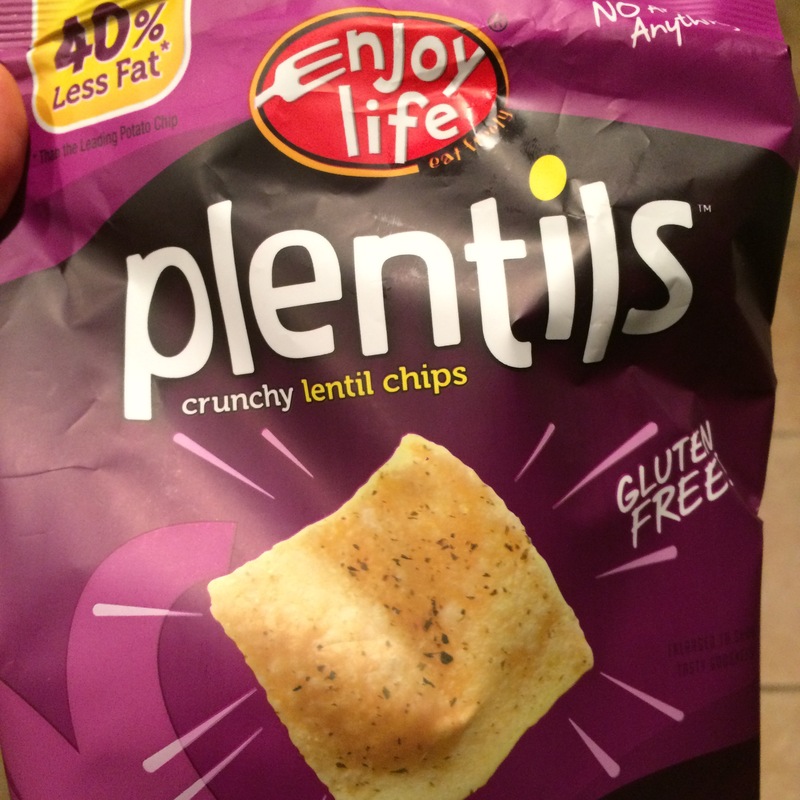 Plentils- lentil chips, so tasty if you crave salty!! 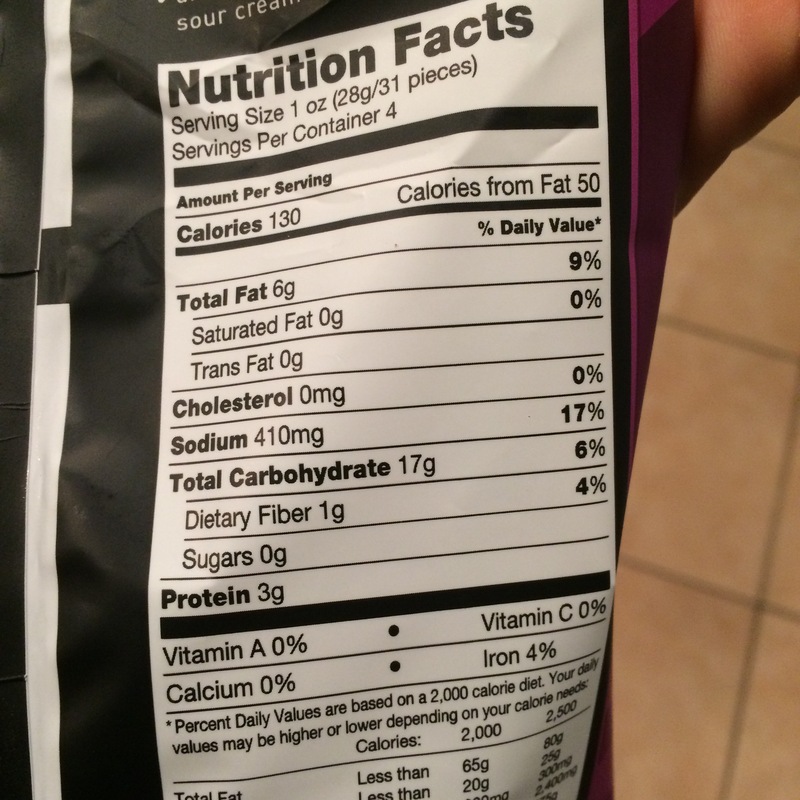 The serving size is large and the calories and fats are low! 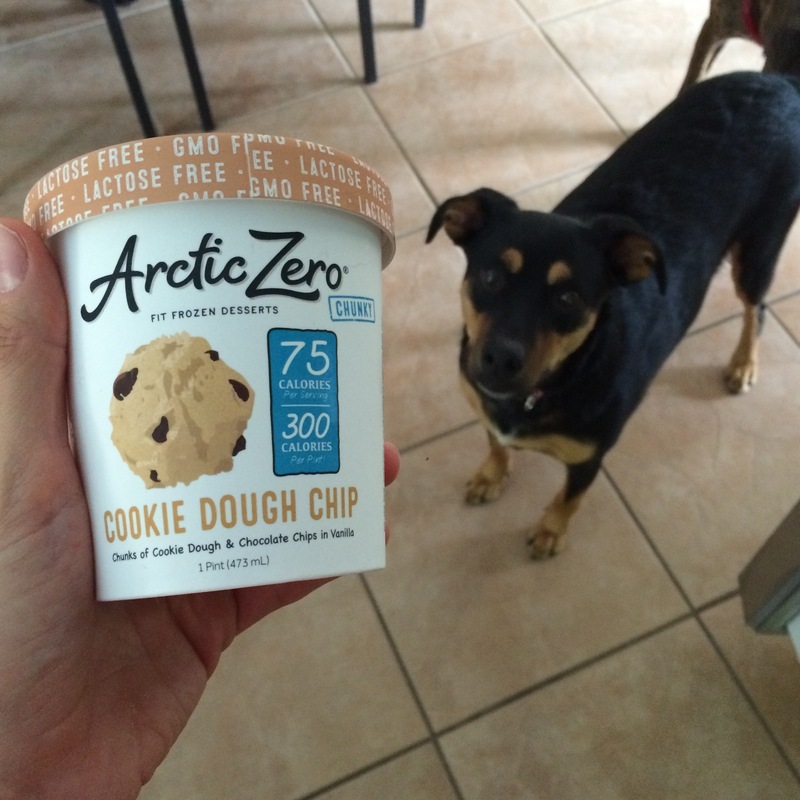 I got the garlic Parmesan flavor and margarita pizza flavor! 1 serving is 31 chips! Definitely large enough to curb any chip cravings! “The good bean” chickpea snacks. This is the perfect healthy snack with a nice crunch. I take these to work while working night shift and I get the cravings to munch on something. My favorite is the chocolate flavor. It’s delicious! Satisfies my sweet tooth, but not too sweet. I also like the spicy chili lime 😛 It is the perfect amount of spice! It’s got a good kick to it! I’m waiting for my order of sweet cinnamon ! I’ll let you know how it is ! And “fat burner” pills are NOT on the list! Competition prep is tough! Any “diet” is tough if you have to restrict foods. I am a huge advocate for cheat meals once per week so you do not go into the binge eating roller coaster of a restrictive diet, but I am unable to indulge until my competition is over because I must “lean out”. Stage weight is very different than everyday weight– Any bikini or physique competitor will tell you that. Stage weight is NOT sustainable throughout the entire year. That being said, in order to reach that fat loss, restrictions must be made for a couple weeks to a month. I am still following IIFYM and not restricting carbs or fats–but with calories being lower than normal, in order for me to get enough meals in, they have to be pretty clean/low calorie items. As soon as my competition is over, I will reverse diet and go back to my maintenance of 2150 cals/day with a cheat meal every Saturday. Until then, here is a list of the couple items that are helping me through this prep. I want to mention, I am NOT (unfortunately!!) an ambassador or affiliate with any of these companies or products—I am not receiving compensation for speaking about these products. I am simply and honestly telling you my personal favorite products that I think anyone whom is trying to stick to a diet, lose fat, or maintain a healthy lifestyle would benefit from! 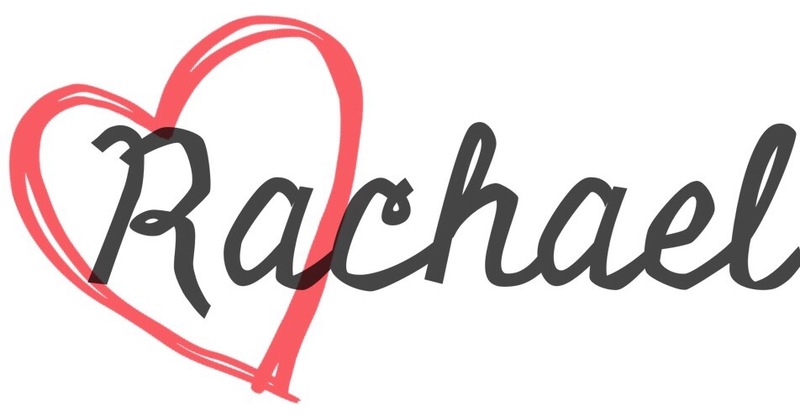 I highly recommend them and think you will thank me if you purchased them yourself, so I have included the link to the product on (of course) AMAZON.COM –my favorite, as you may have noticed!! Right click on the links and “Open in new screen” to stay on my blog and finish the rest of the list!! 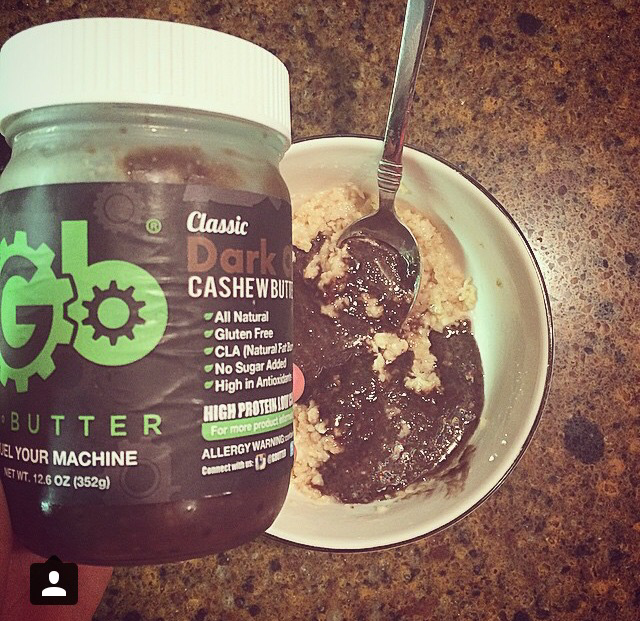 I can’t get enough of this nut butter. The macros are great!! Much less fat/carbs/and calories than any peanut or almond butter on the market. There are two flavors, chocolate cashew butter and cinnamon bun walnut butter. BOTH ARE AMAZING–right off the spoon, or in morning oats, mixed in with fat free greek yogurt or cottage cheese, in protein smoothies, topped on protein pancakes— you name it. I have to say, my favorite of the two is the cinnamon bun–it tastes like a spoonful of cinnamon brown sugar poptarts! 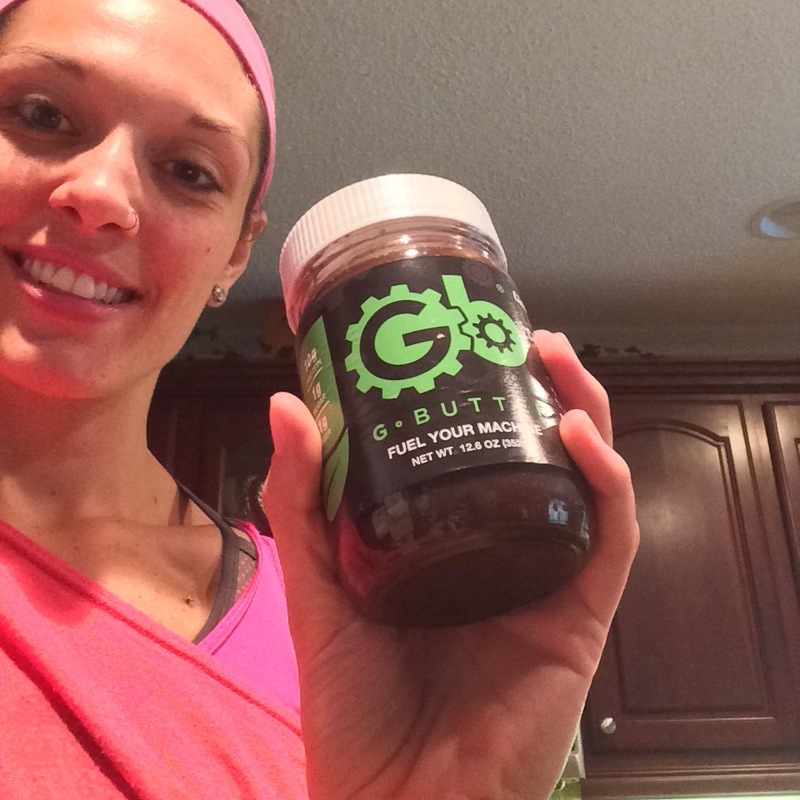 BUT, the chocolate cashew has less calories and fats—making it my go-to during my competition prep! Look at those big chunks of chocolatey goodness! 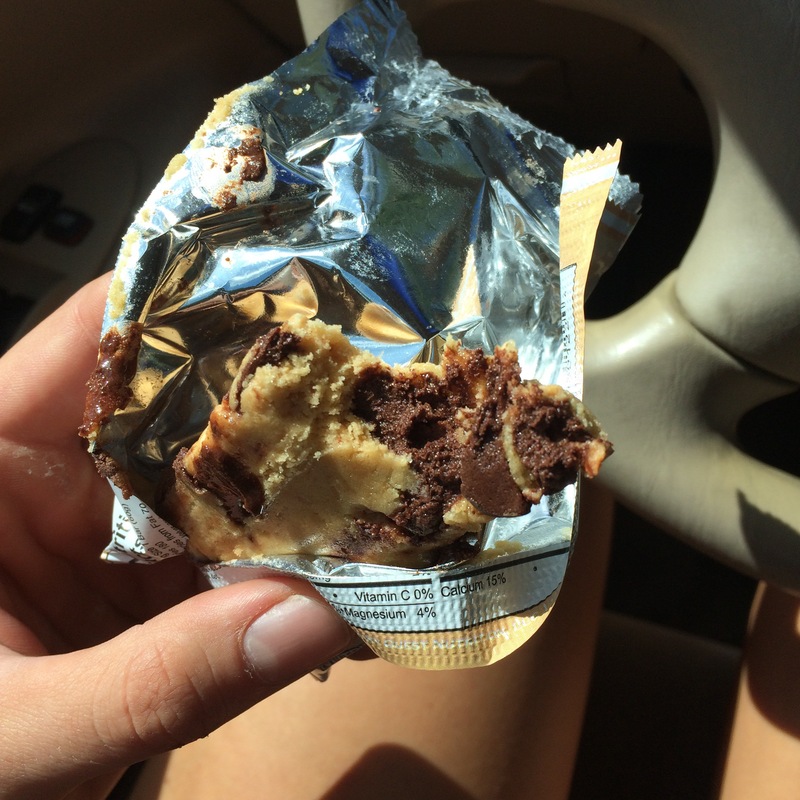 I also highly recommend chocolate brownie, chocolate chip cookie dough, and chocolate peanut butter. I always have at least 2 of those 5 flavors stocked at my house! This is lame, I know, but I am telling you– I never really understood portion sizes until using my kitchen food scale. A chicken breast is NOT a single serving of 4 oz. chicken! It wasn’t until I started to measure out my meals did I lean out and lose that extra body fat that I was not losing with 5-6 days of intense exercise. You really do not need to be a prisoner to the scale, because after a month or two of using it consistently you will be able to pretty accurately “eyeball” portion sizes. It is the only true way to follow an “If It Fits Your Macros” diet, and allows me to stray away from the bland bodybuilder “chicken rice and broccoli for every single meal” diet and continue to have options while on a serious cut before my bikini competition. I added two examples each different and depends on your personal needs. The first is a bit smaller with only 1 shaker bottle compartment– cheaper option. 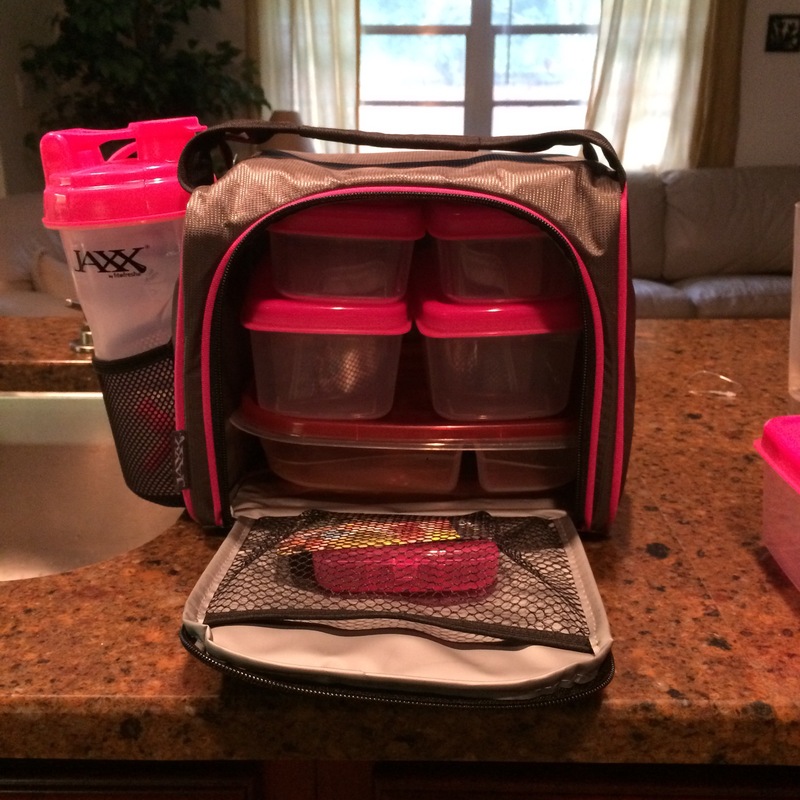 The second is a larger bag with 2 compartments for shaker bottles. 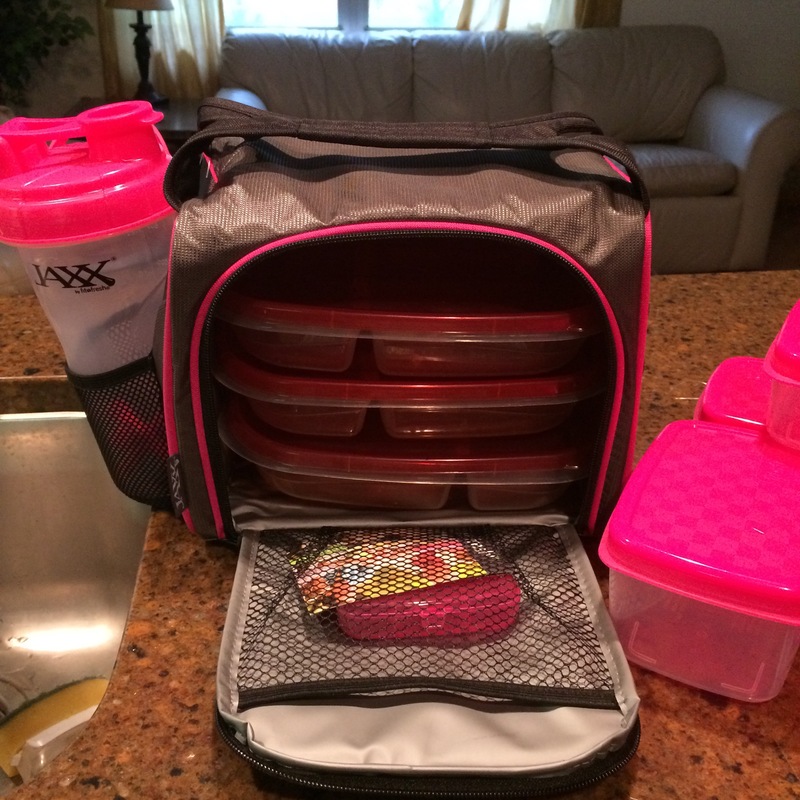 I personally bought the top option, (PICTURED ABOVE) because for my shifts I do not need it to be any larger–It actually fits 3 larger tupperware containers—like pictured above— if you don’t want to use 6 small ones. It comes with 6 smaller containers that are dishwasher safe and great sizes for meal prep as well! I know multiple people that have the second option, the Isobag, and swear by it! Plus it comes in cute color options, but it’s a little more pricey. Both are great choices! 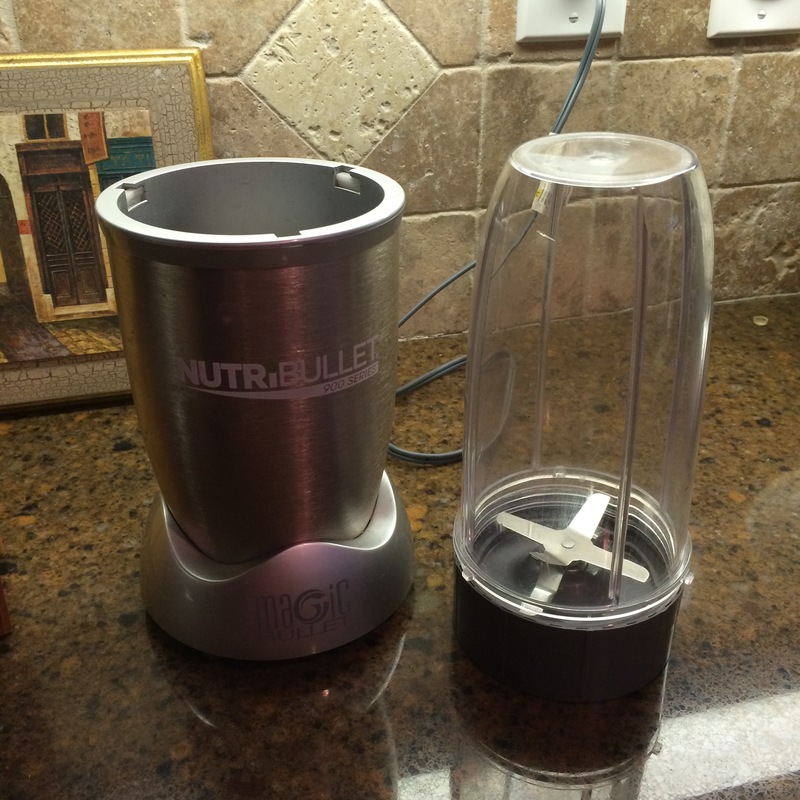 I will have to say, if you do not have a Nutribullet it is something I recommend investing in. It may seem a little costly at first, but I’m telling you it is totally worth it. There is no blender that compares to this system except for a Vitamix (Which costs 300 dollars MORE) I use this on a daily basis, multiple times per day. For everything and anything. Mainly for protein smoothies, it grinds ice and frozen fruit to a pulp–no chunks left behind. It is also magical when it comes to juicing—yeah, juicing. I add fresh strawberries, fresh spinach, and a splash of water or fresh Orange juice and it yields a perfectly smooth–no chunks or pulp (TRUST ME I HAVE TEXTURE ISSUES) juice that contains ALL of the nutrition from the veggies and fruits (regular juicing strips a lot of the fiber and nutrition to the pulp). This blender is AMAZING. If I put a frozen banana with a splash of almond milk it will turn it into the consistency of ICE CREAM– smooth, and thick enough to eat with a spoon, not a straw! 7. Flavored sparkling water- no link necessary, find this at any grocery store. I take a bottle with me to restaurants and bars when I’m meeting friends or having dinner with my boyfriend. I do not let a “diet” keep me from enjoying myself and socializing with friends!! I just ask the bartender for a tall glass of ice with a lime and add my own sparkling water– looks like I’m enjoying a gin and tonic, but calorie and carbohydrate free!! Goals: Motivation is derived from goals. Think of 1-3 attainable health and fitness goals– keep them achievable and realistic. Now think of a date you would like to complete each of your goals by. Time sensitivity provides extra motivation, especially as the date nears. Good: “Enter in the NPC Bikini competition this summer.”Starting to get it? Come up with some good ones? Now, write down your goals. put them somewhere you can see them EVERY DAY. whether it be a post-it note on your refrigerator, at your desk, on your computer, or in your car. Share your goals with your friends, talking about your goals to peers provides extra motivation because they will hold you accountable for those goals–even if it’s the occasional office small talk, “How’s the diet coming along?” or “How much weight are you down now?” It always feels good telling someone you have succeeded! 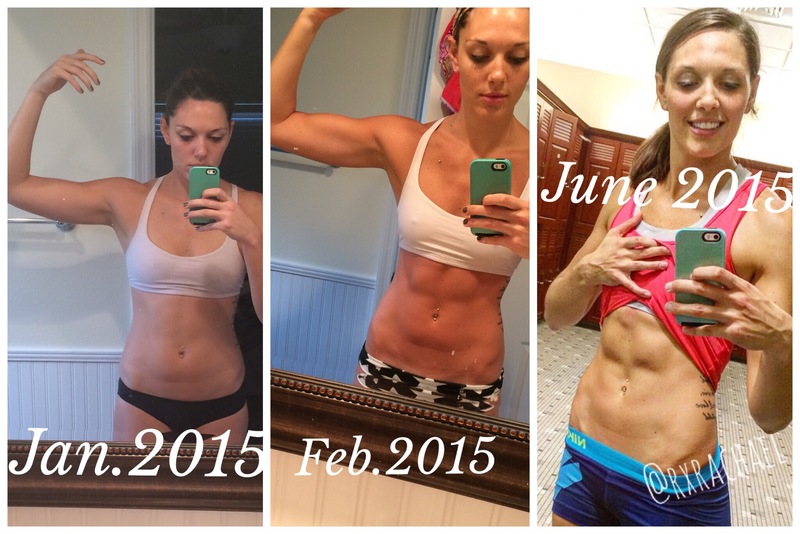 Different Body, Same Mint Green Phone Cover 😛 I do want to mention– Jan 2015 I WAS working out 5x/week. There has been no change in my workout frequency. It is true when they say fitness is 70% diet 30% exercise! !